Your women’s leadership team is part of the body of Christ as expressed in your local church. How well your team interacts with your whole church and its leadership affects how effective your team is. To ease this fear, let your church leadership know you understand what authority means and how it affects you and your team. If you’re just beginning your women’s ministry team, determine the person you’ll report to and show your desire to have their input, insight, and leadership. Building trust with the leadership within the church will take time. Here are some ideas to build that trust. Have someone take minutes at your team meetings, and supply an agenda and a copy of the minutes to the church leader you report to. If you’re thinking of starting a new ministry within the church, always discuss that with your supervisor before you proceed. There could be conflicting factors that you are unaware of. Work with the church calendar. Be sensitive to the fact that other opportunities are being offered in your church. Scheduling dates and times with regard to the church calendar can be a key factor in building trust with the leadership. When meeting with leadership, be precise and to the point. As is so often said, “Give them the male version of the story not the woman’s point of view.” This will assure an audience when requested. Meet with other ministry leaders. This will give you the big picture of what is happening in other areas of ministry. This is best done under pastoral direction, but a one-on-one meeting will also work. Be sensitive to the scheduling of other ministries. The idea is for all ministries to complement each other. Learning to be flexible will give other ministry leaders the desire to work with you. Always be approachable. Seek the reputation of being one who is open to discuss and learn from others. Be a cheerleader for your team. Encourage your team to see themselves as a valuable part of the church body. Model this in the way you personally relate to your church. Support other ministries within your church. We all live very busy lives and have full calendars, but God’s Word tells us to love and encourage one another. A note of encouragement to another ministry leader will help you connect with him or her. Attend functions to support others’ ministries. It takes all of us to make up the church that brings glory and honor to God. Following these simple steps will help you get off to an excellent start. When you help the women on your team to interact well with your church and you develop trust with the leadership of your church, you can have a powerful team. Shirley is a women’s ministry team advisor at Hagerman Baptist Church in Sherman, Texas, an author, speaker, and a LifeWay Ministry Multiplier. Formerly she served as the women’s ministry consultant for the Southern Baptists of Texas Convention. She is one of the writers of the LifeWay publication: Transformed Lives: Taking Women’s Ministry to the Next Level and co-authored Heart Friends: Beginning and Maintaining A Small Accountability Group, published by LifeWay. 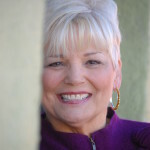 She is the founder of Women’s Ministry Connection, a networking ministry that reaches the North Texas area. She has a passion for equipping women to be all that God wants them to be. This has led Shirley to start her personal ministry, Beyond the Call Ministries, and to travel across the country speaking for women’s conferences and retreats. Shirley has completed her Advanced Certificate of Women’s Ministry at New Orleans Baptist Theological Seminary.